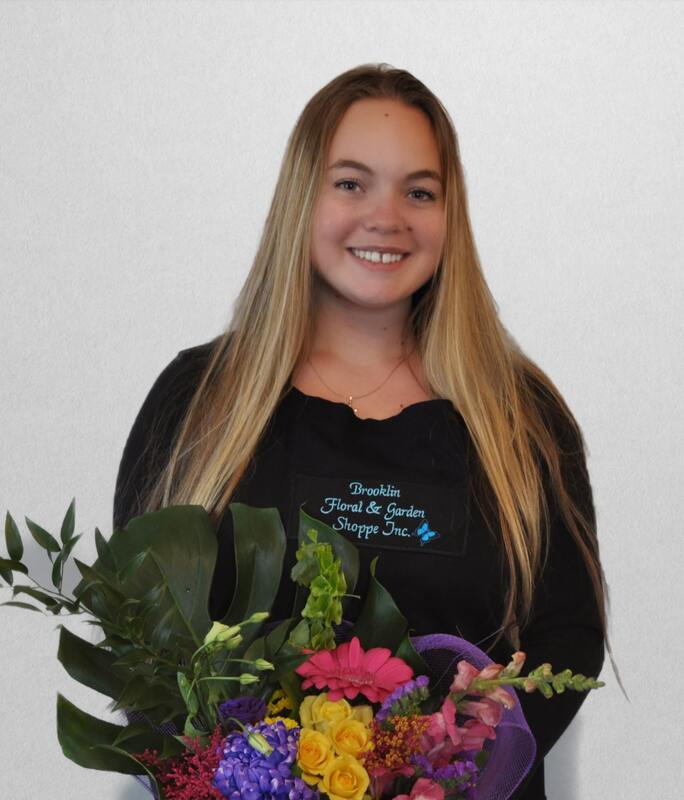 Brooklin Floral & Garden Shoppe Inc. has been hand-delivering premium floral arrangements and gift baskets to help strengthen relationships, give love and support, and celebrate life’s special moments . From birthdays to anniversaries to commemorating a loved one, and every little “just because” moment in between. Choosing our Florist’s Choice Bouquet gives your gift that personal touch. Once we have expertly handcrafted your order, we will ensure it arrives at its destination on time, hand-delivered. 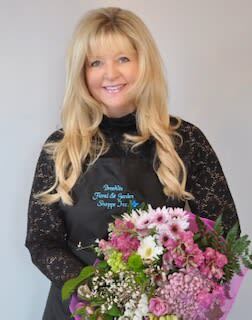 Impress your friends, family, and loved ones with a heartfelt gift from Brooklin Floral & Garden Shoppe Inc..
About Brooklin Floral & Garden Shoppe Inc.
Brooklin Floral & Garden Shoppe Inc. offers the Whitby, ON area superior floral arrangements and assortments. Our deep-rooted passion for flowers, along with our dedication to service, makes us the ideal choice for any occasion! 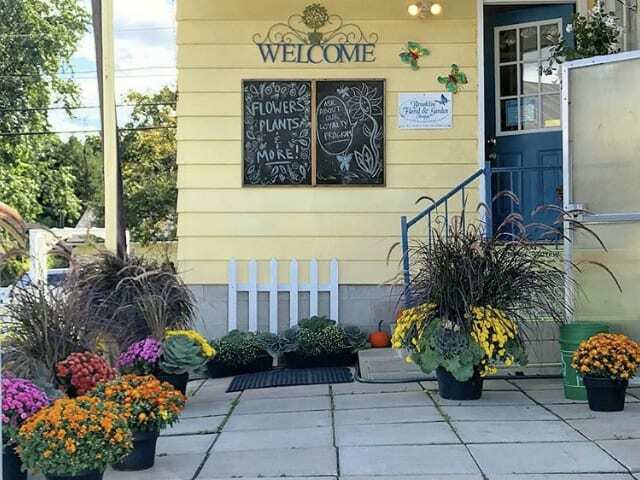 Brooklin Floral and Garden Shoppe will inspire you with creative floral designs and extensive gift selection, but most of all you will love the unique features that make this a wonderful shopping experience. As a family owned and operated business they are committed to offering only the finest floral arrangements and affordable gifts, backed by service that is friendly and prompt. 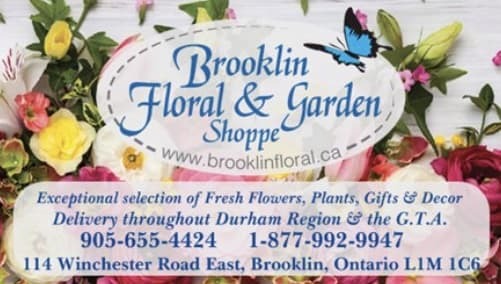 Brooklin Floral & Garden Shoppe proudly serves the Brooklin/Whitby area as well as Durham Region & the G.T.A. 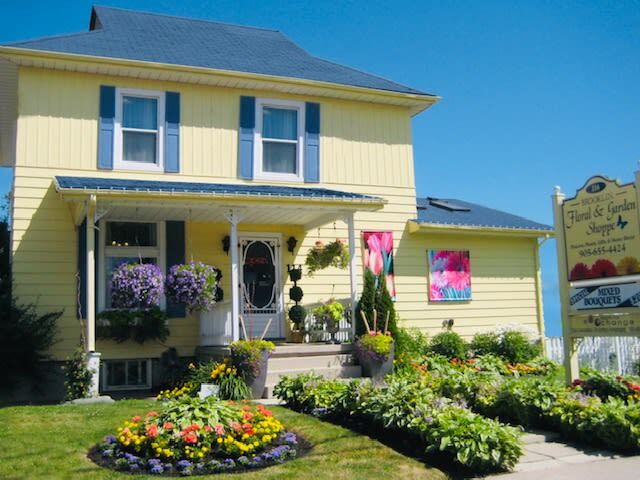 The shop is located in a 2 1/2 story century home in the heart of Brooklin, Ontario, Canada. Close to home & far from ordinary! 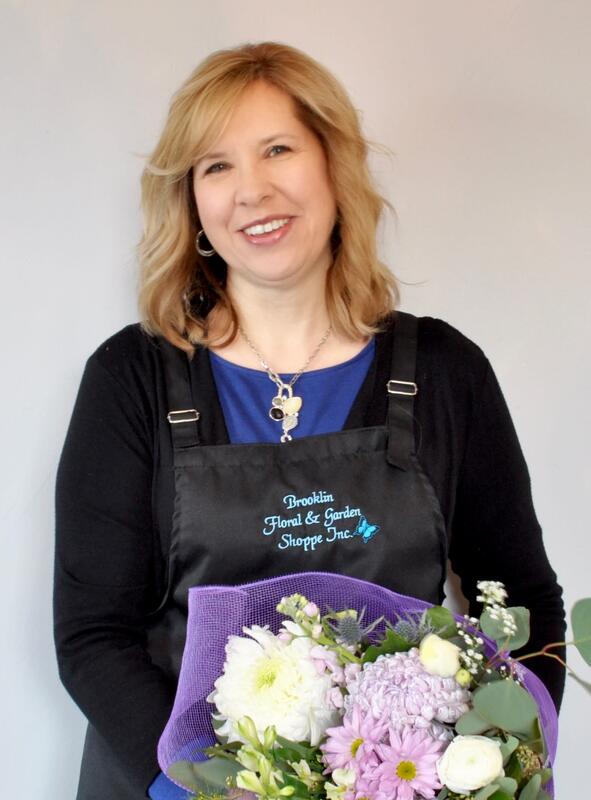 They market & deliver locally grown flowers and also offer a variety of organic & imported flowers as well.Their Farms are Eco-friendly providing sustainably grown flowers and greenery from Ontario and around the world. 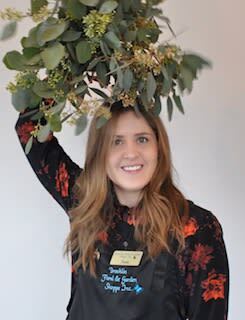 As well as their exceptional selection of flowers and plants, they provide fruit & gourmet baskets, wall art, home decor, garden planters, hanging baskets, make-and-take workshops and gifts for all occasions, but you don’t need an occasion to pop into the shop – just stop by and take time to smell the flowers! 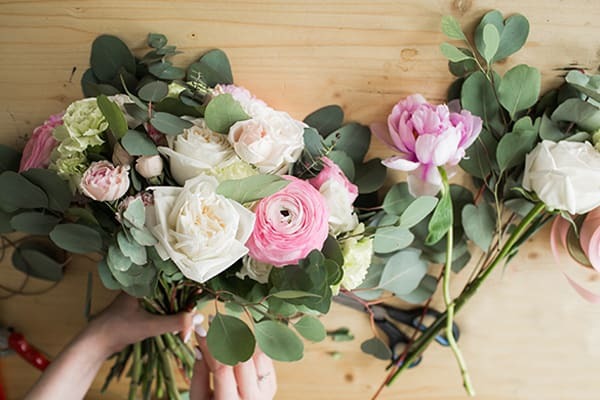 The floral design team has trained with some of the best floral designers from around the world, gathering information and inspiring ideas with their beautiful creations. 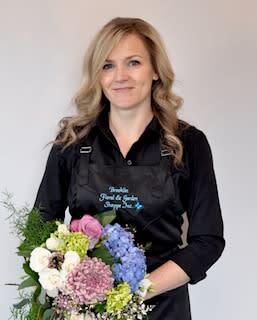 Empowered by their love and passion for creative floral design they keep their design skills updated and on trend by attending floral shows & workshops regularly.You can put your trust in the combined 100+ years floral design experience of the talented Design Team. They are dedicated to making your floral gift perfect for you. They know the importance of choosing a unique floral gift for someone special and they go the extra mile to make it happen. Let Brooklin Floral & Garden Shoppe be your first choice for flowers. 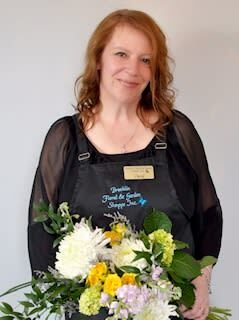 Brooklin Floral & Garden Shoppe offers a wide variety of floral designs for all occasions, large or small events - Weddings, Anniversaries, Birthdays, Graduations, Memorials, Sympathy, etc. They also offer D.I.Y. Packages & teach 1 hour “Make & Take Workshops” on selected Saturdays. Ask a couple of friends to join you or on your own, have a great time making a beautiful arrangement to take with you. Call for more information. Call, or stop in just for the smell of it!